I’m a huge advocate for using props. What is so great about them? Well, they give you extra inches and support to your body which help you to obtain the correct alignment in yoga asanas. But above all, they give you “ease” so that you can achieve the correct alignment without straining yourself. There are many types of props such as belts, blocks, bricks, blankets, sandbags and, my favourite, bolsters. Unfortunately, these props are not cheap in <?xml:namespace prefix = st1 ns = "urn:schemas-microsoft-com:office:smarttags" />Japan and their costs are quite often 2 to 3 times higher than in Europe and the States. I guess once the props gain more popularity in Japan, the prices might come down? 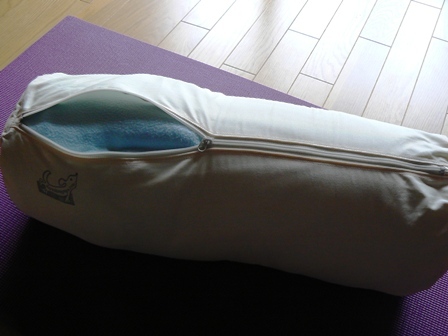 Anyhow, to make at least one of the props affordable, daredemoyoga in collaboration with Murata Bag is offering “DIY Bolsters”! 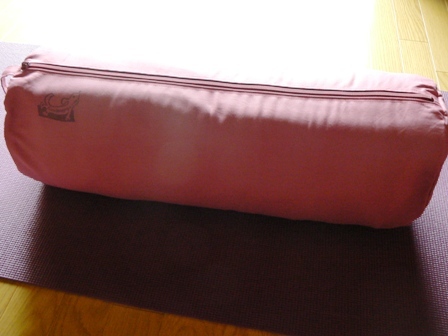 Basically, we are selling a set of bolster covers that consist of one outer cover and one inner cover. The idea is that you use whatever materials you have at home such as cotton from old futons, rolled up old blankets or towels to stuff in the inner cover to make your own bolster and put it in the outer cover! 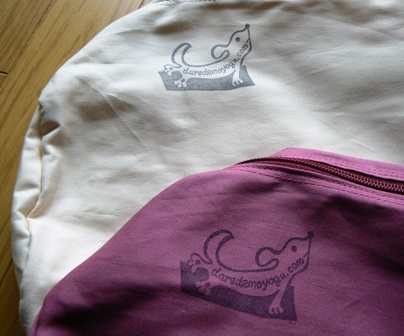 These covers are made of 100% cotton with a full zip that makes stuffing easy work! As it comes with both inner and outer covers, you can remove and wash the outer cover with ease whenever necessary. 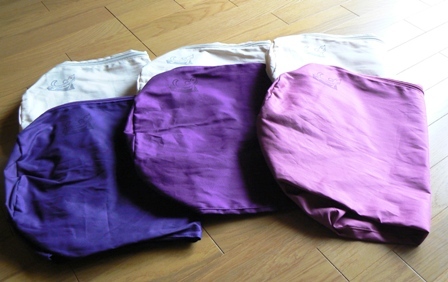 By the way, for the outer cover, you can choose from 3 beautiful colours (purple, royal purple and cassis)! 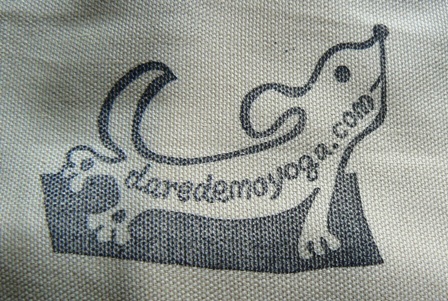 And best of all, the price for each set is only 3,500 yen plus p & p.
For more information and availability, please contact daredemoyoga.